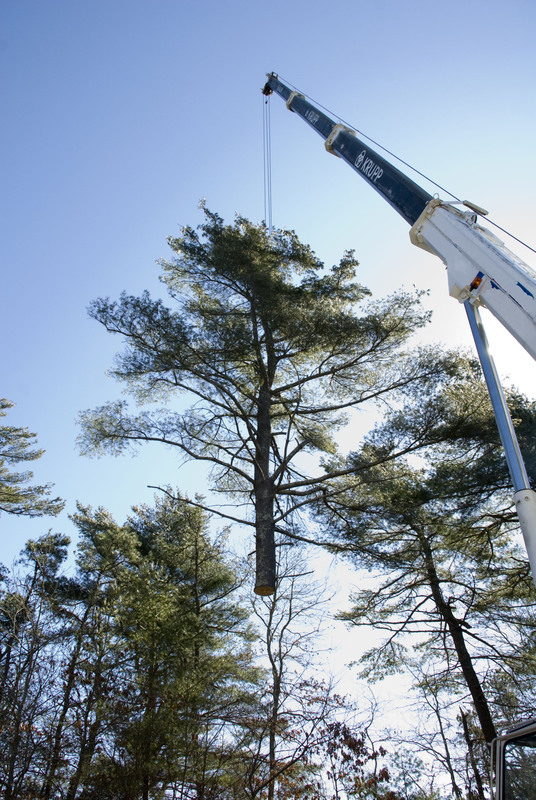 While tree removal may be a drastic step, there are circumstances when it is necessary. 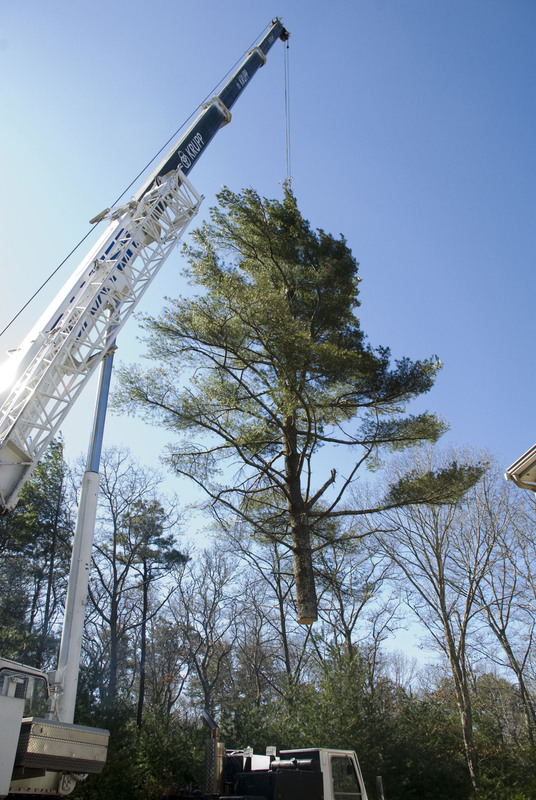 Removal is essential when a tree is dead, considered irreparably hazardous, causing an obstruction that cannot be corrected through pruning, crowding or causing harm to surrounding trees, or is being replaced for a more desirable specimen. Our experienced service personnel will help you determine the condition of your tree and recommend the proper action to ensure your safety and the health of the tree. 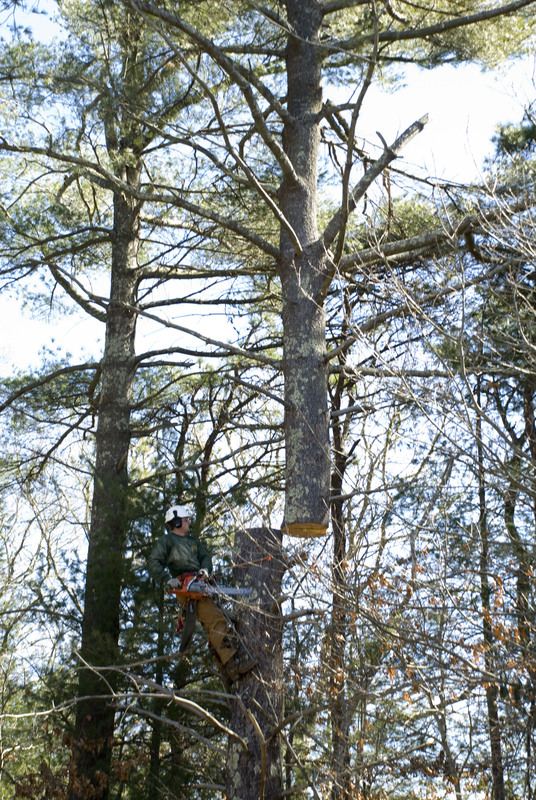 There is more to taking down a sizable tree than immediately hacking away with a chainsaw. Consideration must be given to the structure of the tree, weight and size of limbs, proximity to adjacent structures and power lines, accessibility for heavy equipment, and most important, the safety of everyone involved in or around the operation. Our trained personnel can remove a tree to several inches below ground level and not leave an unsightly stump. Once the tree has been taken down, we will cut up, chip or haul off all debris leaving your property clean and safe. Except for the missing tree or trees, you won’t even know we were there. Your tree folks came today and took down 9 trees. The leader was Matt and there were two others, whose names I didn’t get. All three were polite, responsive and did excellent work. As I walked around afterwards, I didn’t see anything to correct. One of the things that impressed me (and I told the two that actually did the cutting in the trees), was the way they worked showed their concern for safety. They used their ropes, paused to check their position or next move, rested for a minute as necessary and in general impressed me that safety was a primary concern, right along with doing the job well. I would also compliment your office staff on the scheduling and understanding that our neighbors did not want any sawing or chipping until 8:00am. That message was passed on to the work crew and presented no problems.